LIMITED OFFER: 2 for 1 tickets! The two biggest legends meet for the very first time. And the King's Burning Love, Suspicious Minds, The Wonder of You, Return to Sender, Always On My Mind and many more. Peter Triantis is Elvis. 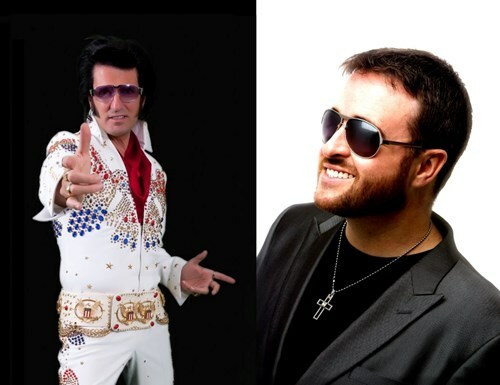 He has the look, he has the body and he definitely has the voice, Host of the popular TV Show, EPTV and Multi award winning Elvis bringing a magical display of "The King" on stage. Together with the sensational Vegas Showgirls and The TCB Dellairs Band. Doors open 7.30pm, show at 8.30pm.